About 378 jobs in Manufacturing sector. - To provide a quality product that satisfies our customers’ needs and expectations the first time, every time! - Emphasizing a total quality management process which provides accuracy, and strict compliance with agency regulations and customer requirements, giving the highest degree of confidence; understanding that meeting the requirements of the next employee in the work flow process is just as important as meeting the needs of external customer. - Improving the systems of production to generate continuing quality and productivity improvements with full accountability and responsibility. - Perform my responsibilities in compliance with the UTC Code of Ethics. - GCE ’O’ Level, NITEC and Diploma in Precision/Aerospace/Mechanical Engineering, etc. We are looking for a Plant Manager to drive continuous improvement and optimization of all processes. You will oversee all daily operations of the plant from production, supply chain, engineering, and quality operations, ensuring policies and procedures are followed. The successful candidate will have the key skills to develop processes that will maximize stewardship, safety, quality profitability, and productivity. Manage the operation in support of plant objectives including safety, quality, on-time delivery and gross margin for all areas and product lines. Profitably grow the plant and achieve operational goals measured monthly, quarterly and annually. Works with internal and external customers to promote and leverage company technologies, systems, products, services and processes. Promote a culture of discipline in cost control and productivity, ensuring maximum focus across all manufacturing activities based on established key performance indicators. Partner with Human Resources to ensure appropriate staffing levels, training and performance management. Drives a culture of accountability and results through strategy deployment and effective performance management. Coordinate and direct major projects involving expansion, cost reduction and new product manufacturing setup and implementation. Lead development of critical talent across the facility to ensure a cohesive and highly functioning team. Maintain quality and environmental standards per ISO and QS requirements as well as local quality and environmental programs. Set aggressive but achievable targets for productivity, customer service, and safety. Prepare, plan and implement the annual operating and capital budgets as well as control of monthly operating expenses. Maintain effective communication across global operations network. Ensure compliance with corporate policies and procedures. Responsible for the overall development of the plant operations and oversees Engineering, Production, Quality and Supply Chain. Bachelor's Degree in Business/Finance/Management/Operations or other related field. 7+ years’ progressive experience in a key leadership/management role at a manufacturing facility. Must be a change agent with excellent analytical skills and ability to thrive in a fast-paced environment. Strong computer skills including the ability to prepare spreadsheets and use Microsoft Office Products (Word, Excel, Power Point and/or Access) to analyse data and trends. Previous experience/broad understanding of safety systems and enforcement of safety rules and policies. Demonstrated strong leadership, team building and advanced coaching skills; ability to motivate people, assess and develop employee skills. A strong ability to be adaptable and flexible. Ability to work with teams and lead decision-making processes in a team environment. Knowledge of ISO 9001, ISO13485, FDA 21 CFR Part 820, and/ or the Medical Device Directives. Controlled Environment (Class 10K/100K cleanroom) and office area. 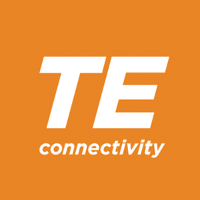 TE Connectivity's Operations Managers are responsible for the day-to-day operations and short/long-term planning for the groups they manage. They manage manufacturing, production control, engineering, inventory control, EH&S, shipping/receiving, etc. focusing on the development of technologies and continuous improvement and translating customer requirements into state-of-the-art manufacturing strategies and processes. - Lead and work with stakeholders for implementation of time and data sensitive HR-related system changes. The incumbent will be responsible to handle inbound and outbound calls in Otisline and know how to escalate to relevant parties and entering all calls’ information in a computerized system for call/data tracking and monitoring purposes. Document all calls’ information into computerized system for call/data tracking and monitoring purposes. Able to respond and escalate to relevant parties from inbound calls to close each call successfully. Able to handle difficult callers by providing good customer service etiquette skills over the phone. Dispatch service calls to Service Technicians to attend and close service calls. Comply with Otis safety policies and procedures. Comply with UTC core values and Otis Three absolutes – Ethics, Safety and Internal Controls. Diploma in Business Management or any related discipline. Minimum 3 to 5 years prior working experiences in similar capacity. Able to work rotating shifts and overtime based on roster scheduled by the Call Centre Team Leader. Good phone etiquette and customer service skills.